Well, we did it again thanks to you! 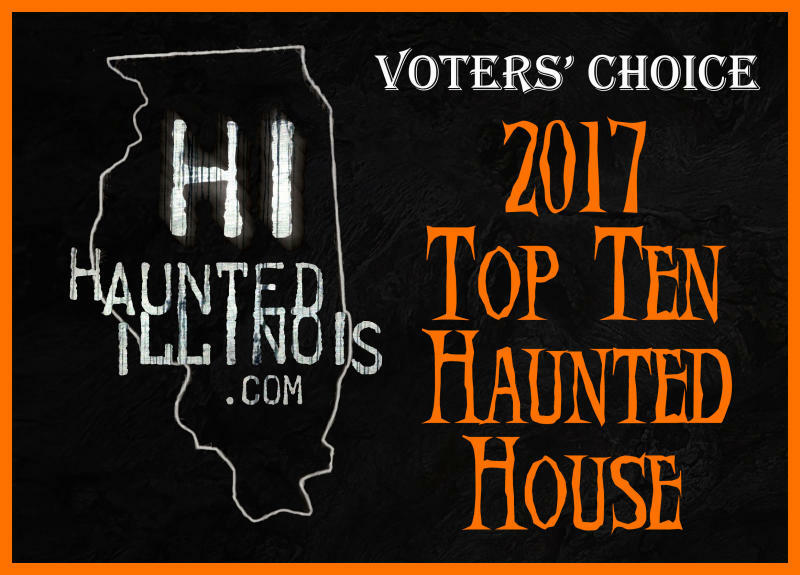 We made the top ten on the HauntedIllinois.com Voters’ Choice awards for Haunted Houses. The Haunted Infirmary in Bartonville was voted the top haunted house in Illinois for 2017. That’s according to the people that matter (you!). Second place went to Statesville Haunted Prison. The Haunted Woods of Creek Hill came in at number five. Not too bad if you ask us! You can click the image to see the entire top ten list. It feels good to be in such spooky company. We sincerely appreciate the support! The Haunted Woods of Creek Hill were also a top vote-getter for Best Halloween Event of 2017. The voters have spoken, Christian County is a scary place! Check out the entire list and make your plans for next year. There are a lot of great Halloween Events in Illinois. Use our volunteer form if you’d like to help make the Haunted Woods even better next year!